Dr Coman graduated from University of Toronto in 2001. She is originally from Romania and she received her DMD degree from University of Timisoara in 1991. She is a member of Ontario Dental Association. In her spare time, Dana enjoys reading, cooking, traveling and most of all spending time with her family and their dog. 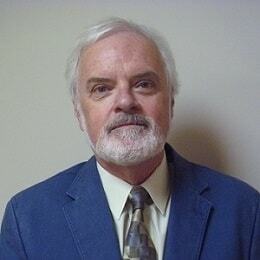 Dr Bucher graduated from University of Toronto in 1972. He returned to Guelph, where he was born and raised, to work with his father, Dr J Bucher Senior. Since 2013 he has been semi-retired, working part time as an associate. Outside the office he enjoys travelling and spending time at his cottage. Teresa moved to Guelph in 1986 and is originally from Poland. She joined our practice in 1993. 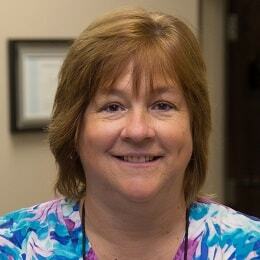 Teresa enjoys her receptionist position and her interaction with our patients. She always tries her best to accommodate our patients. Her family is extremely important to her as well as the family pets. She loves to travel, Cuba being her favorite destination. 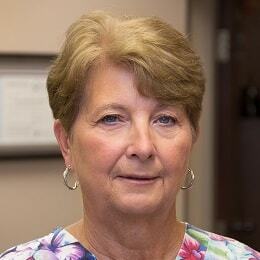 Cheryl graduated from a dental assistant program in 1981. She worked as a dental assistant for 21 years in Guelph, Kitchener and Orillia. For the last 10 years she has worked as a dental receptionist. Cheryl joined our practice in 2017. She is married, and has three sons and three grandchildren. In her free time, Cheryl enjoys boxing, yoga and long walks with her sweet Yorkie and son’s two puppies. 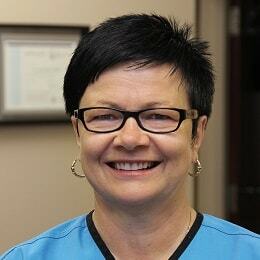 Karen graduated from Canadore College in North Bay in 1981 as a dental hygienist. 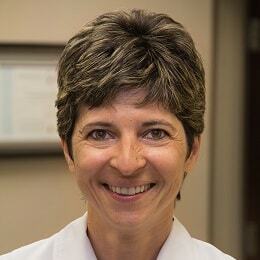 She moved to Guelph in 1984 and she worked in general practice, orthodontics and paediatric dentistry settings. 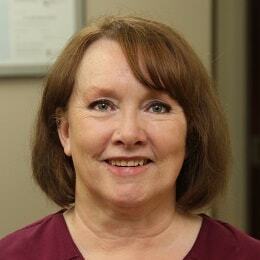 Karen joined our practice in 1995. In her spare time, she enjoys boating, watching curling and spending time with her granddaughter. 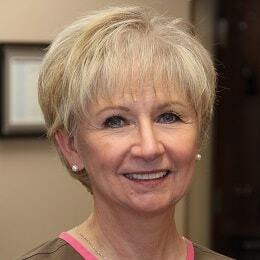 Laurie graduated from Toronto University in 1971 as a dental hygienist. She joined the practice in 1973. Laurie graduated the restorative course from George Brown College in 1977 where she also worked as a clinical demonstrator for few years. Laurie enjoys travel, skiing, bicycling, fitness training, cooking and spending time with her family. Marian has seen many changes in the dental field as her dental assistant career has progressed over the years. She has joined the practice in 1989 and enjoys the best of both worlds, chairside assisting and administrative duties. She also contributes to the office with her laboratory skills. She is married, has two sons and two Chihuahuas named Amber and Peanut. On her time off Marian enjoys traveling with her husband, watching his baseball and curling games. 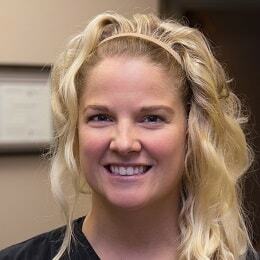 Amy graduated from a Level 2 dental assistant program at Niagara College in 2003. She joined our dental practice in 2015, moving from her hometown Welland to Guelph with her boyfriend and their dog. Amy recently welcomed a beautiful baby boy and is so proud and excited to be a new mom. On weekends, Amy enjoys teaching yoga or competing in half-marathons or triathlons.